We saw another big jump for Baidu who’s up 6.22% over January. With Baidu’s climb comes a loss for Google who dropped to their lowest (but still dominant) position so far this year at 75.68%. Yahoo! and Bing remained steady staying with 0.3% of their market share from last month — at roughly 6% and 4% respectively. Google Slips. Anomaly or Reality? Last month we saw Google dip 8.79%. 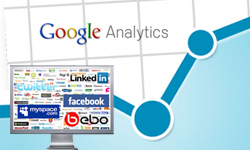 We’ve seen dramatic dips like this in the past where Google has regained share. No doubt Baidu in China is influencing these dramatic shifts. Yahoo! 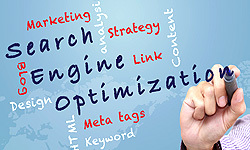 once the world’s dominant search engine is hanging on by a thread at 5.92% desktop search engine market share. Credit to Bing for entering the search game so late in the going; but the search engine has failed to make a significant dent sitting at just 4.24%. 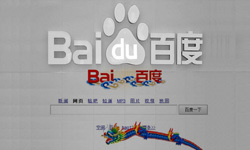 Baidu jumped to 11.95% search engine market share up from 5.73% last month. We’ve seen big jumps like this in the past only to have the number stabilize the next month. We’ll be watching closely to see how the numbers ring in come month’s end.